Look, I don't have perfect teeth. They're not perfectly straight, nor blindingly white. But, at least they're squeaky clean. I got the gadget last Christmas and it's still one of the best gifts I've gotten. It had around 7,000 overwhelmingly positive reviews on Amazon and was on sale for around $12. It doesn't boast many fancy features, making it budget-friendly, but it's still a fantastic toothbrush. There's no need to vigorously brush back and forth. The toothbrush creates a strong vibration, capable of whisking away plaque without making gums bleed. To me, two minutes seems like a long time, but that's how long the American Dental Association recommends people brush their teeth. The Sonicare Essence has a built-in two-minute timer that activates each time you turn it on. So, I just brush until it automatically shuts off. I've been using electric toothbrushes for a while. About two years ago, I read that harsh brushing could injure gums (yikes). Then, one day, my gums bled as I tried to remove the gunk behind my teeth. My traditional toothbrush had to go. At first, I settled on a $5 Oral B toothbrush, which gave out after a few months of use. Then, I got a $100 Colgate Smart toothbrush as a gift. I used that one for a few months. But, I wasn't a huge fan of the brush shape, it never seemed to clean thoroughly and the smart tech kind of freaked me out. 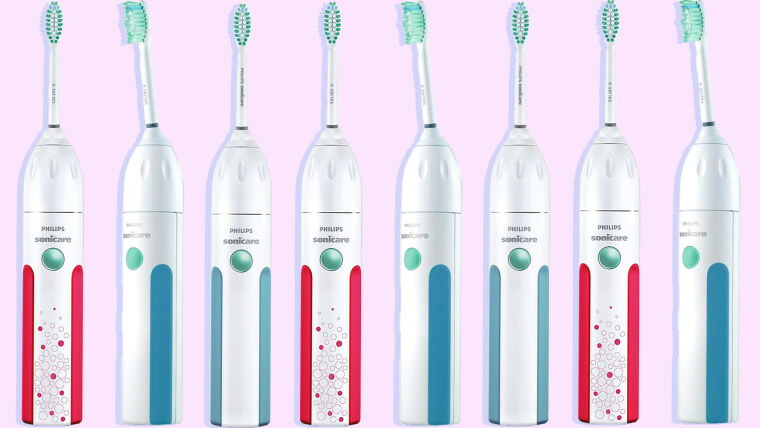 The Sonicare Essence — a $25 toothbrush from the same line as the $200 Diamondclean — is better than both the $5 Oral B and $100 Colgate brushes. When my Sonicare Essence dies (it hasn't yet), I'll buy another Sonicare toothbrush. 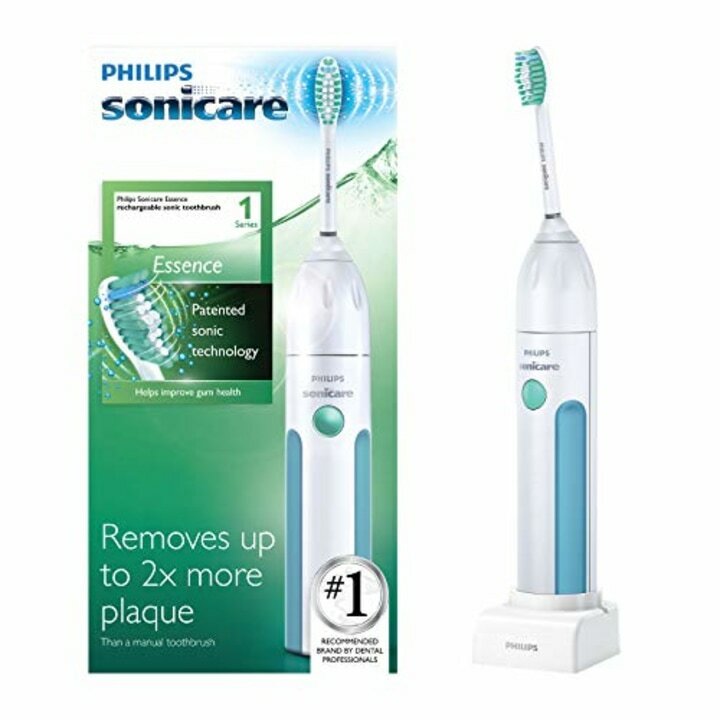 If you just want a basic electric toothbrush that thoroughly cleans your teeth, this is the way to go. It features a traditionally shaped brush head, a tilted design to make it easy to reach back molars, a two-week battery and a strong sonic vibration.